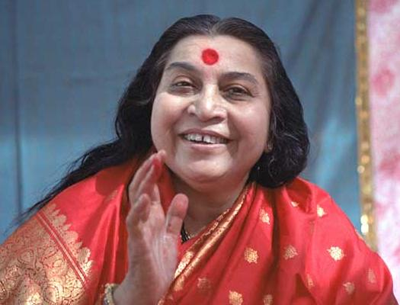 Sahaja Yoga was founded in 1970 by Shri Mataji Nirmala Devi, out of her concern over the myriad of forces of disintegration she saw at work in societies worldwide. It is a non-profit organization dedicated to the transformation of humankind by establishing a higher level of awareness in individuals and in society at large. Meditation is often defined as taking a moment to sit quietly to ponder or pray. True meditation, in the ancient traditional sense is much more than this. It can be described as experiencing an inner silence and deep peace while remaining completely alert. It is the beginning of an inner experience that takes us to a higher level of awareness, touching within ourselves that which is eternal and unchanging. Within every one of us there is a subtle system of 3 channels and 7 energy centers. This system controls and sustains all our glands, organs, nerve plexus and immune system. It governs not only the state of our physical, but also our emotional and mental health. At the foundation of this system lies a dormant, creative and nurturing power called the Kundalini, our very own key to the same living energy which sprouts the tiniest of seeds into the largest of trees, changes the seasons, and is the essence of all creation. When this Kundalini is awakened within us, it rises spontaneously through the central channel. It passes through each of our energy centers and emits from the fontanelle bone on the crown of our heads and manifests as a cool breeze, which we feel on our hands. This process is referred to as Self-Realisation or enlightenment. Provides a means for people to achieve balance and contentment in their lives at mental, physical, emotional and spiritual levels. Helps restore health and well-being. Empowers individuals to become a source and a force for balance and peace in their families and communities. Provides practical solutions for reducing stress, violence and abuse. Improves mental focus in work and studies. Empowers one to overcome habits and addictions. © 2019. Sahaja Yoga International - Vishwa Nirmala Dharma.